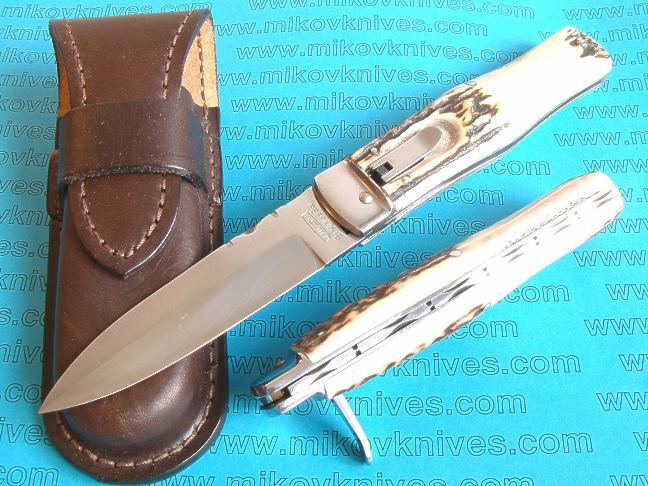 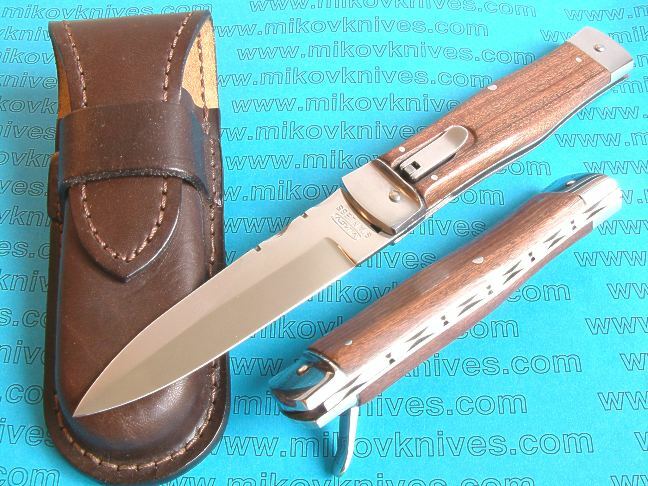 What are Mikovs with RWL 34 blade? 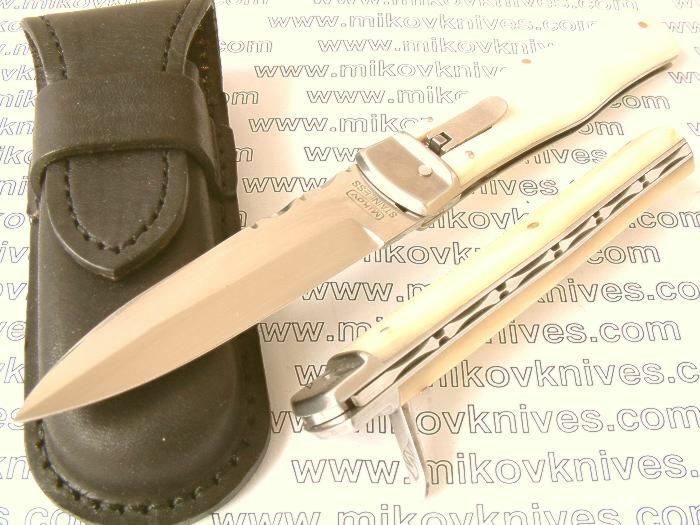 They are new improved Mikov autos. The blades are made of premium RWL-34 steel manufactured in Sweden (HRc 60-61). 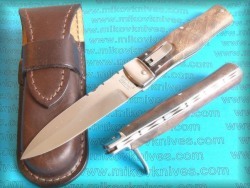 All listed knives have thicker liners, new modified grind, stronger spring, improved lever and are made with tighter tollerances. The blades are mirror finished and numbered. 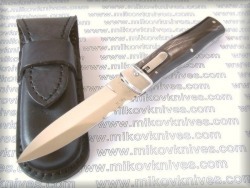 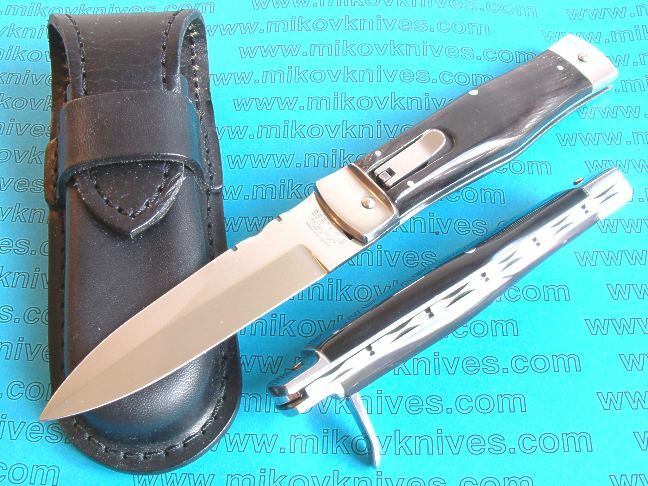 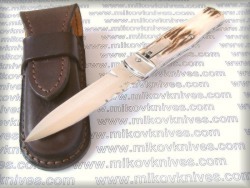 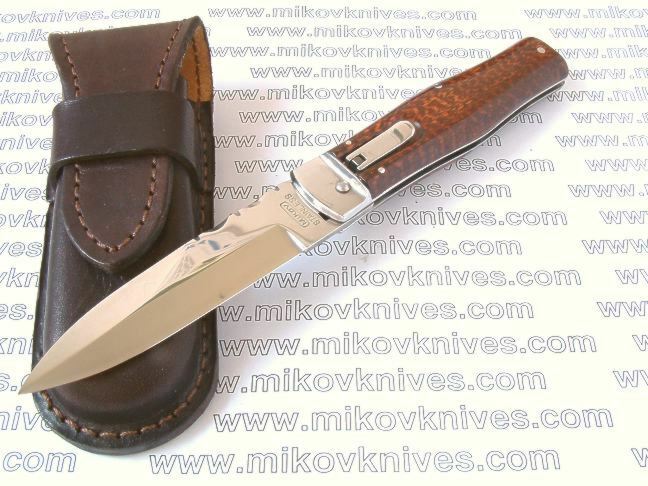 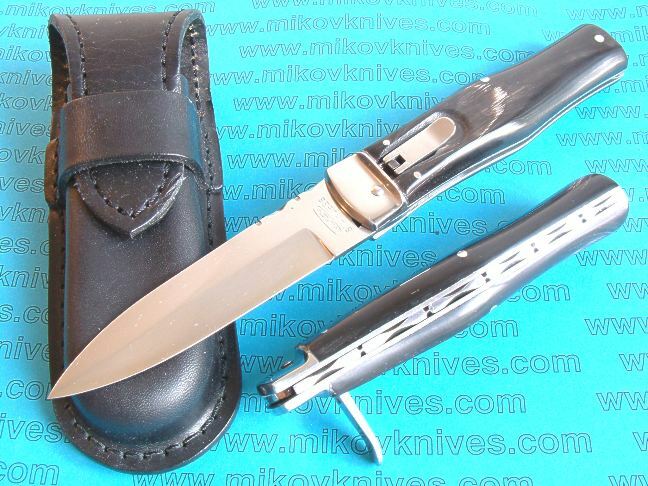 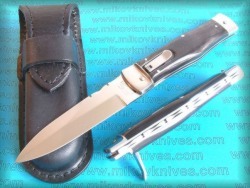 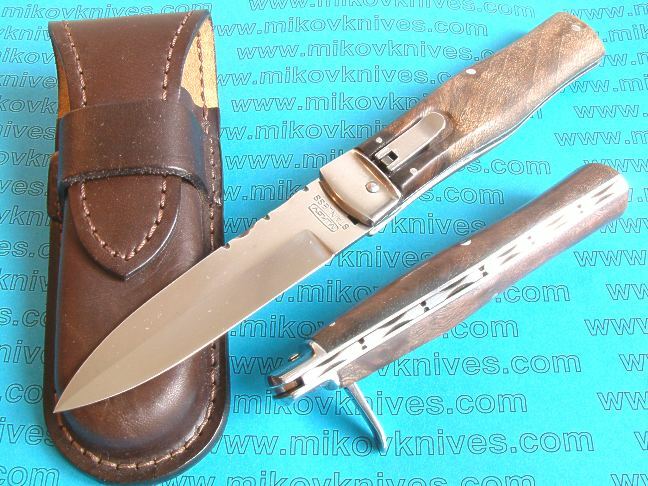 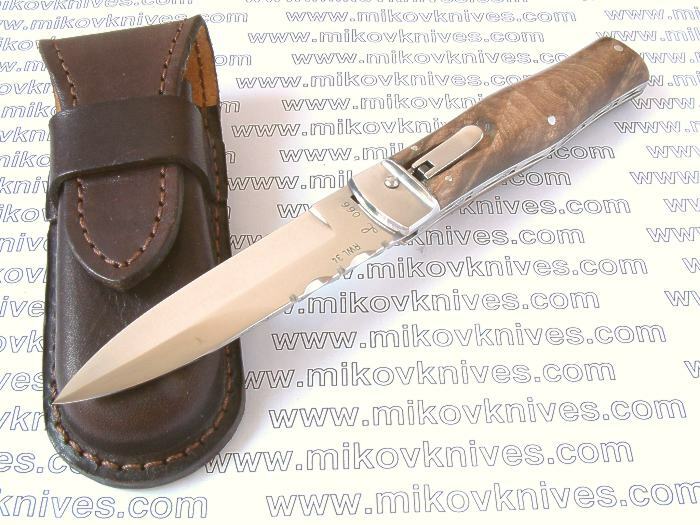 All RWL-34 knives have fileworked backspring + blade and come with quality leather sheaths. 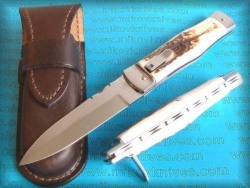 Models with rear bolsters are also available. Please check Price list for prices and availability. 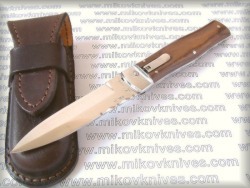 Left handed models now available on request!